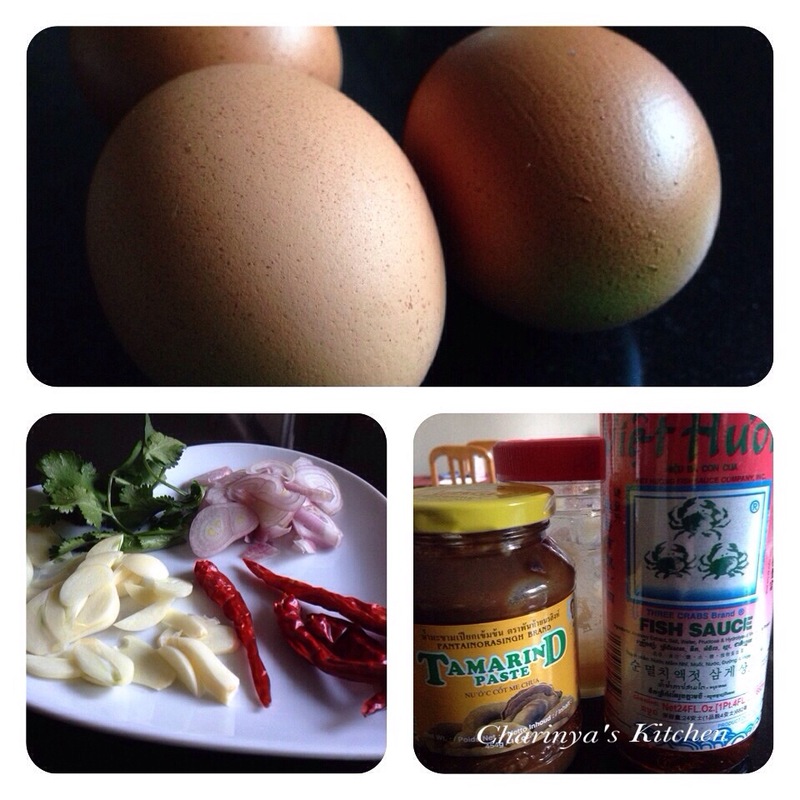 Ingredient : Eggs, garlic, dry chilli, shallot, coriander, fish sauce, palm sugar and tamarind purée. 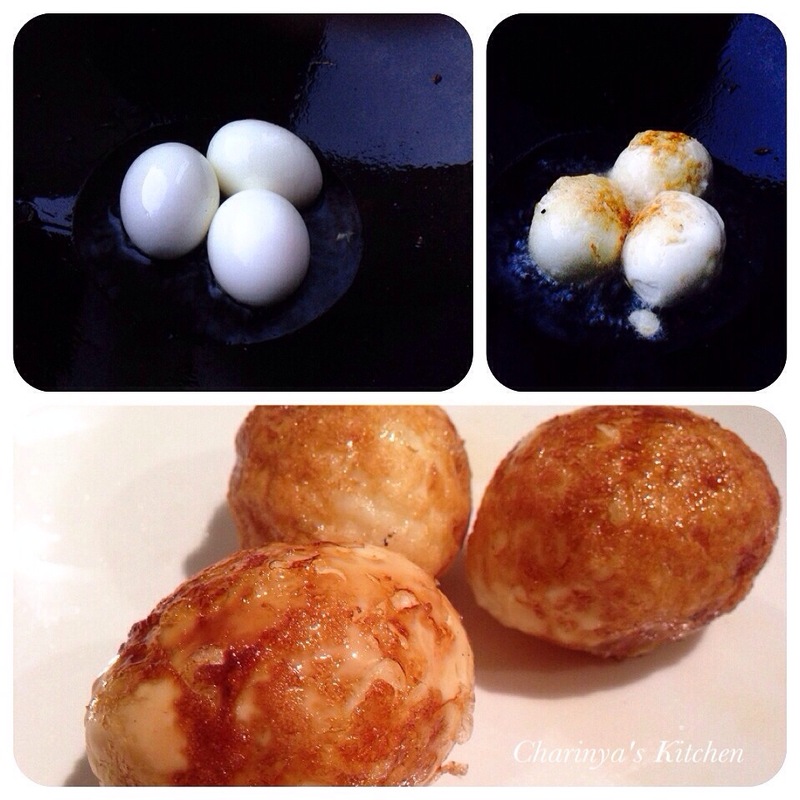 >> Leave the eggs at room temperature. Bring a pot of water to boil and add half a teaspoon of salt. This will ease with peeling the egg shell. Add the egg in the boling water and gently swirl the water. The tumbling will help keep the yolk in the centre of the egg. Boil for 8 minutes. Remove the egg from the hot water and leave in cold water. When cooled, peel and set aside for frying. 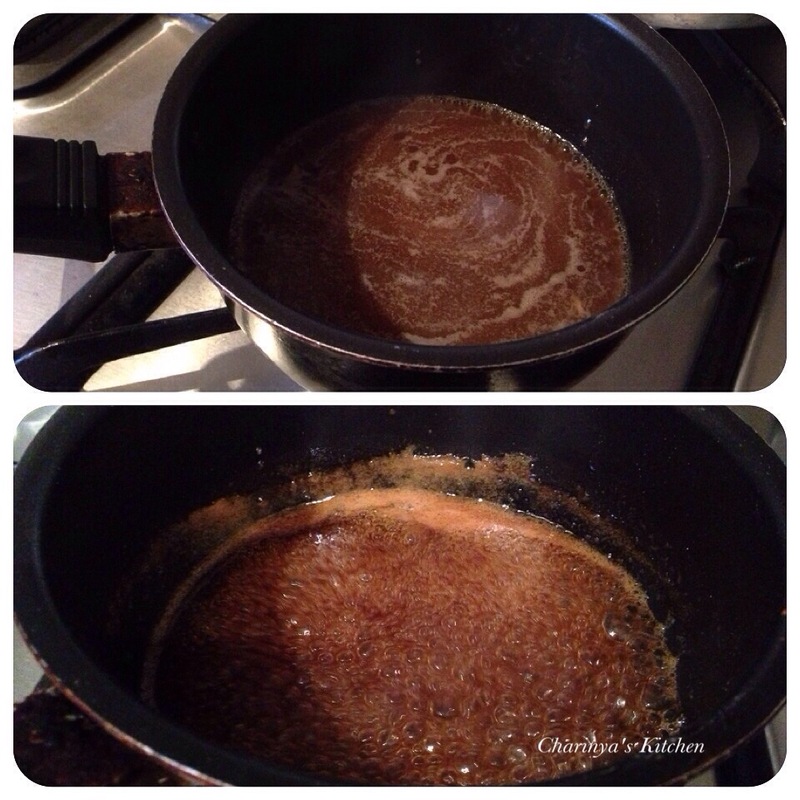 >> Make the sauce by combining tamarind purée, water, fish sauce and palm sugar in a small sauce pan. Cook over medium heat until syrupy, and add more water or any of the other ingredients to get the 3 flavours of sweet, salty and sour in balance. Remove from heat. When the sauce is cooled, the taste will be more pronounced. The sauce will get thicker as it cools down as well. >> Add vegetable oil in the wok and set to low heat. 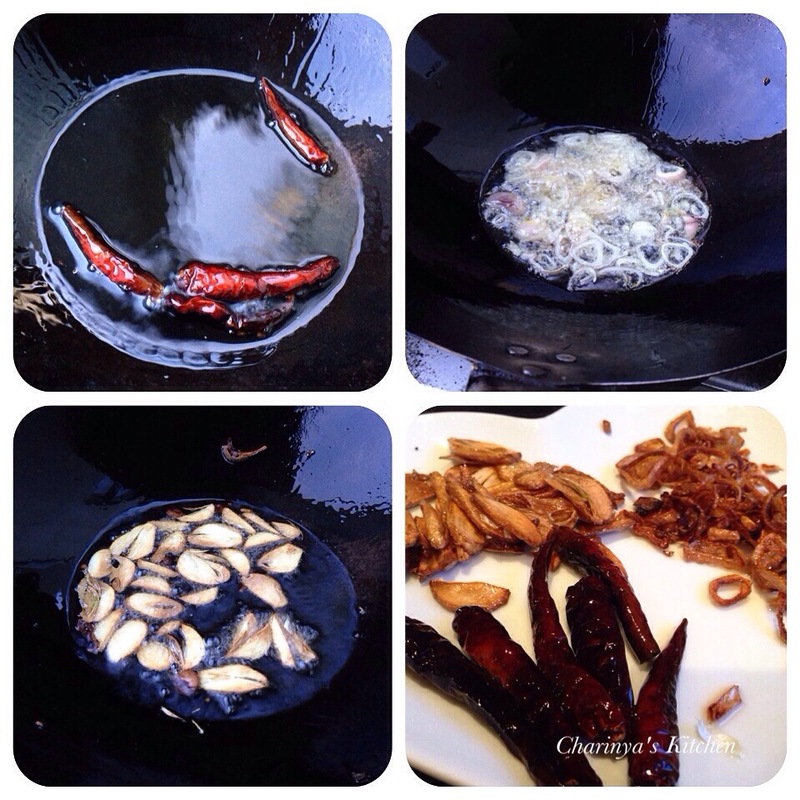 Fry the dry chilli until brown on each side and set aside. Then fry garlic and onion by stirring constantly until lightly browned. Set aside. 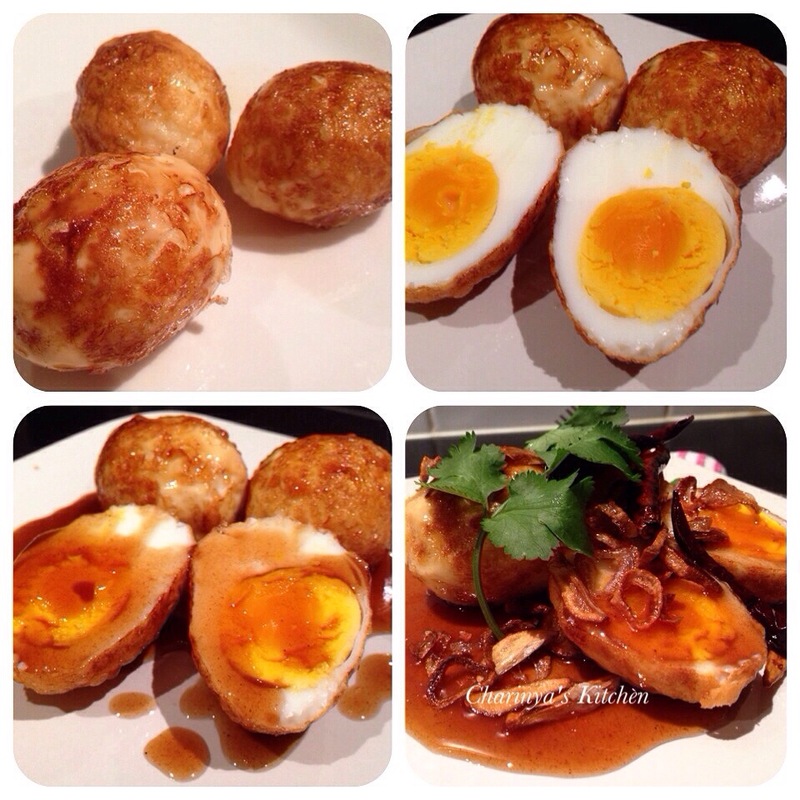 >> Fry the boiled eggs by continually turning the eggs so they evenly brown all over. When golden brown, strain and set aside. Cut your eggs into halves, quarters or leave whole. Fry the boiled eggs, and keep turning the eggs so they evenly brown all over. >>To serve arrange the eggs on a plate. 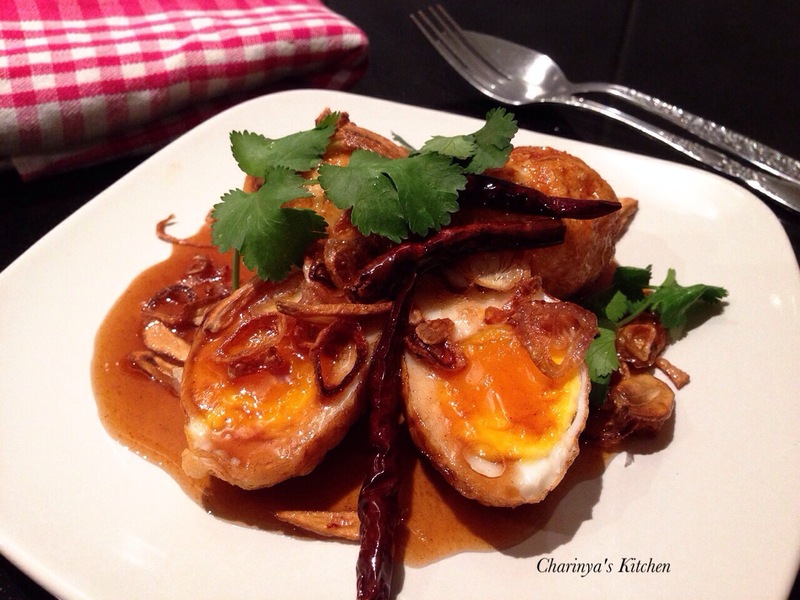 Cover with the sauce then top with the fried shallots, fried garlic, fried chilies and fresh coriander. Serve with steamed jasmine rice. Arrange the eggs on a plate. 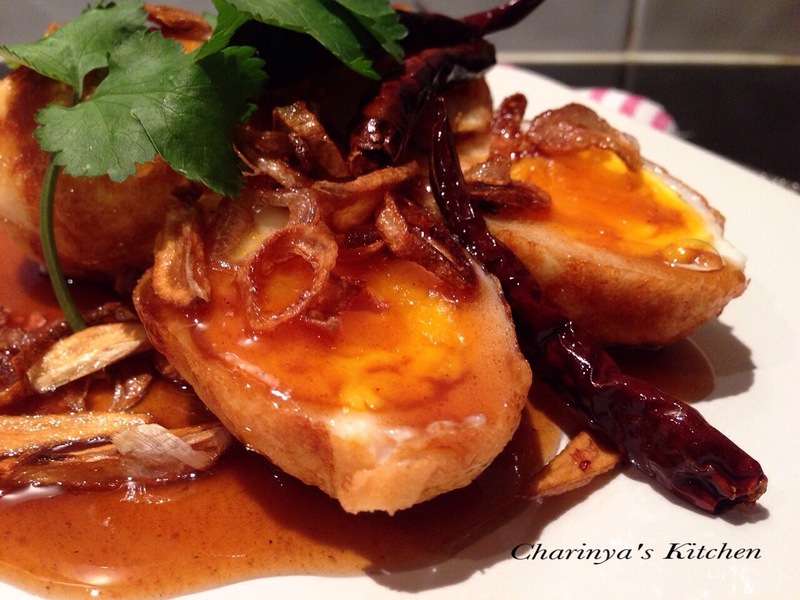 Cover with the sauce then top with the fried shallots, fried garlic, fried chilies and fresh coriander.